The phrase, Everything in Full View, and in One Hand; sums up LG's latest flagship device, the LGG6. 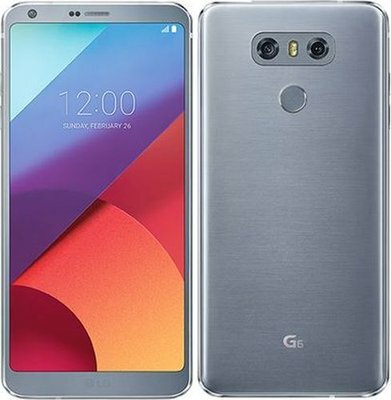 The LGG6 has an exquisite blend of glass and metal, with Gorilla Glass 5 covering the rear which will ensure that your device stays in pristine condition for a long period of time and also affords Consumers greater piece of mind with its IP68 - Water and Dust Resistant Certification and completely imbedded camera. Most impressive on the new LGG6 is how thin the bezels are on the phone. This means you have a bigger screen while maintaining a smaller form factor which makes the device a dream to handle, in one hand. The new 18:9 Aspect ratio of the 5.7" QHD Display [2880 x 1440] dubbed Full Vision is a world first for Smartphones, even the corners are curved which makes it aesthetically pleasing as it seamlessly integrates with the curved body of the device. The display also supports Dolby Vision and HDR10 which provides breath taking visuals should the content you are streaming supports it. The LG G6 is a sealed unit with an impressive 3300mAh battery, that also features dual 13MP Rear Cameras, 1 Normal angle [71 degree] and 1 Wide Angle [125 degree] as well as a 5MP Wide Angle [100 degree] front camera for the selfie lovers. Show the full picture with 360 degree panoramic photo function and showcase your creativity with the intuitive square camera app which makes you take various photos and stitch them together. 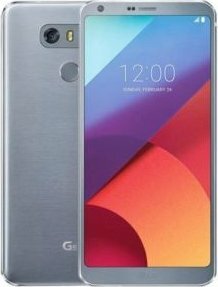 To ensure optimal performance for this flagship device, LG has opted to use the Qualcomm Snapdragon 821 processor [2,4Ghz] together with 4GB RAM and 32GB of on-board memory which is expandable [Up to 2TB] This processor needs to be mentioned as its performance is simply sublime, no matter what you throw at this beast whether it's multimedia or business applications even MULTIPLE applications or gaming. The LG G6 also comes packed with the latest Android version 7 called Nougat. The latest version brings a host of new features including Google Assistant, a cosmetic makeover and a host of shortcuts to make every day functions easier to access.